Michael Dunphy Advances in 20-Foot Waves At Vans World Cup | EasternSurf.com | All East Coast. All The Time. NORTH SHORE, Oahu, Hawaii – (Friday, December 2, 2016) — The best heat of the Vans World Cup thus far took place today in Round Two and saw the finest 20-and-under surfers tame wave face heights of up to 20 feet at Sunset Beach. The youngest competitors of the event, Finn McGill, 16, Joshua Moniz, 20, and Griffin Colapinto, 18, went head to head for the best performances of the day in a high-scoring affair. 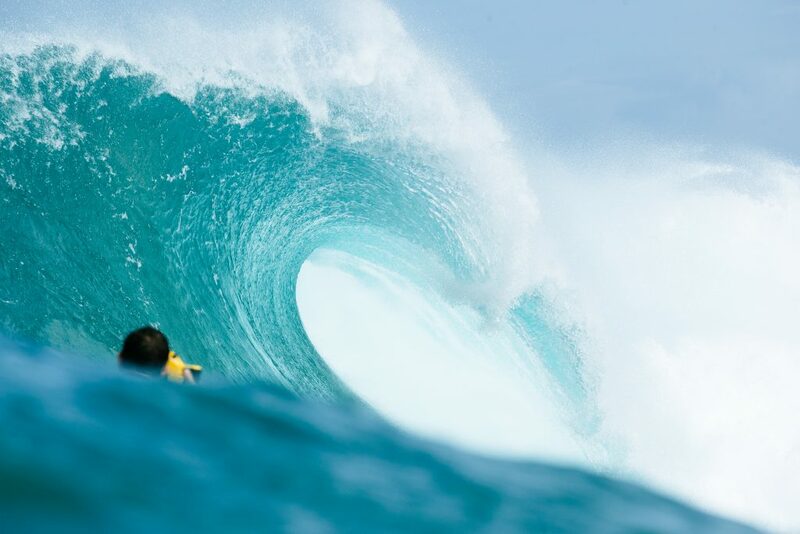 The World Surf League (WSL) Qualifying Series (QS) 10,000 event features the world’s best athletes and is the final QS competition of the season, raising both the stakes and the bar in the water. Also winning was Virginia Beach, VA, native Michael Dunphy, who’s hoping for a solid result to have a shot at qualifying for the 2017 WSL World Tour. New Smyrna Beach, FL’s, Evan Geiselman, who was within striking distance of a CT Berth, lost his Round of 96 heat, however, and will most likely have to start over again on the grueling QS in 2017. McGill and Moniz advanced into Round Three where top athletes like John John Florence (HAW), Kelly Slater (USA) and Gabriel Medina (BRA) are seeded. Day 3 of the Vans World Cup will run tomorrow with an 8am HST start in what is forecast to be 8-12ft. NW swell. One of the only 9-point waves of the event was secured by Torrey Meister (HAW) for a standing barrel and a few powerful maneuvers. Judges awarded Meister a 9.23 – the highest single wave score of the day – for swift surfing and three turns following the tube. The Big Island surfer advanced well ahead of his competitors, while Bino Lopes (BRA)secured a slot in Round 3 behind Meister. 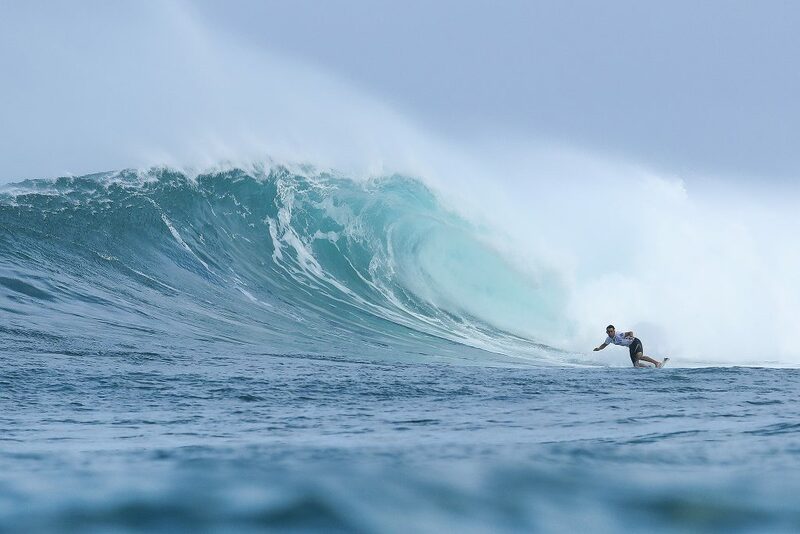 Bede Durbidge (AUS) made a successful comeback after injuring his pelvis last year at the Billabong Pipe Masters. The surfer underwent tremendous physical therapy and made a full recovery in only a year. His time off was spent wisely by helping coach John John Florence and now the competitor is in full force with a heat win at Big Sunset. Competition will resume at 8am HST tomorrow in continued overhead surf at Sunset Beach. The highly anticipated Round Three will see top surfers from the Championship Tour clash with QS warriors as the remaining 64 athletes battle for a place atop the podium.